Fair warning to my usual readers, I’m deviating slightly from chemistry today. To explain why I’ll start with this admission: one of my very favourite things, other than chemistry naturally, is magic. I mean stage magic of course, I understand that the post of Potions Master isn’t actually a job option (and let’s just not mention the acromantula venom I’ve got stashed under the bed). I’ve never had the patience for the endless practice necessary to learn to perform tricks myself, but I love watching stage magic and close-up magic. I’ve seen lots of magicians live, from local acts like Young and Strange to the much more-famous Paul Zenon, and right up to some of the big names like the brilliant Derren Brown. 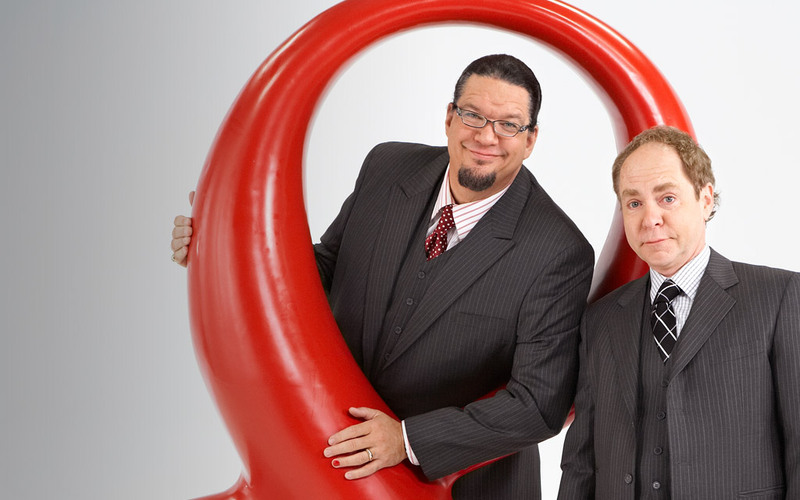 But my favourite act of all has to be the indomitable Penn & Teller. I adore Penn & Teller. They are amazing. I’ve seen them twice now, in London and in Las Vegas. It’s necessary to make the Vegas trip if you want to see them perform their infamous bullet-catch trick. I imagine it’s tricky to get the firearms needed past the airport security teams these days, even if you are masters of sleight of hand. Anyway, why am I talking about magic on a science blog? Well because this week I was listening to Penn Jillette’s podcast, Penn’s Sunday School (I recommend a listen, although possibly not in front of your elderly maiden aunt), and he was talking about a new bit they are about to include, or may have just included, in their show called The Atheist’s Deck of Cards. 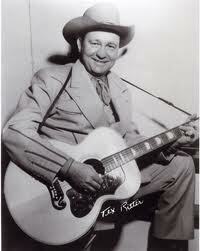 Tex Ritter, without his deck of cards. If you’ll excuse another apparent non-sequitur, when I was a kid we used to regularly drive to Germany. As you can imagine, it was a long trip, and one of the things I remember about it was a particular album of country music playing on the car stereo. I don’t know who the owner was, but someone had it on cassette and it used to go round and round until, I think, someone else had enough and forcibly removed it. As a child much of this went over my head, but to this day I still remember a couple of songs, one of which was Tex Ritter’s Deck of Cards. This particular song, if you can call it a song, is about a soldier in trouble for apparently playing cards in church. 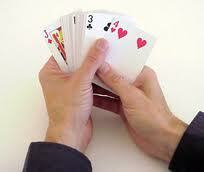 He justifies his actions by explaining that his deck of cards is actually his bible, almanac, and prayerbook. The ace reminding him “that there is but one God”, the 10 reminding him of the ten commandments, the 52 cards reminding him of the number of weeks in a year, the total number of spots on all the card faces reminding him of the 365 days in a year, and so on. It’s really very clever. If that soldier came up with it on the spot he thoroughly deserved to get away with it; it certainly puts Blackadder’s Great Boo’s up to shame (although that was funnier). Anyway, it seems I’m not the only one to have this song lodge in their brain. Penn Jillette admits to being crazy about it. So much so that he and Teller have written, with the help of theoretical physicist Lawrence Krauss, a physics and magic version which they have titled The Atheist’s Deck of Cards. All the while, as Penn recites this amazing monologue (which must have been utterly horrendous to memorise to the level of word-perfectness required), they are doing fantastic card tricks to illustrate the story. Making cards disappear, making (I imagine) all the cards appear to be the same suit, and so on. Now of course I haven’t seen this bit, because I can’t just pop over to Vegas and pick up Rio tickets, but doesn’t it sound utterly AMAZING? Penn was worrying that it might be too much, but I predict that his audiences are going to completely love it. I love it and I haven’t even seen it. So now my only problem is how to get to Vegas. Or failing that, can I persuade Penn and Teller to send me a DVD? Or at the very least, the script? Please? And then, of course… perhaps we should start work on The Chemist’s Deck of Cards?